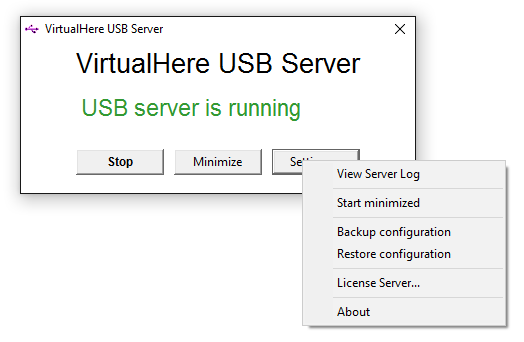 VirtualHere USB Server has come to Windows! Installation is automatic and immediate. Then download the USB Client software to remotely use USB devices!